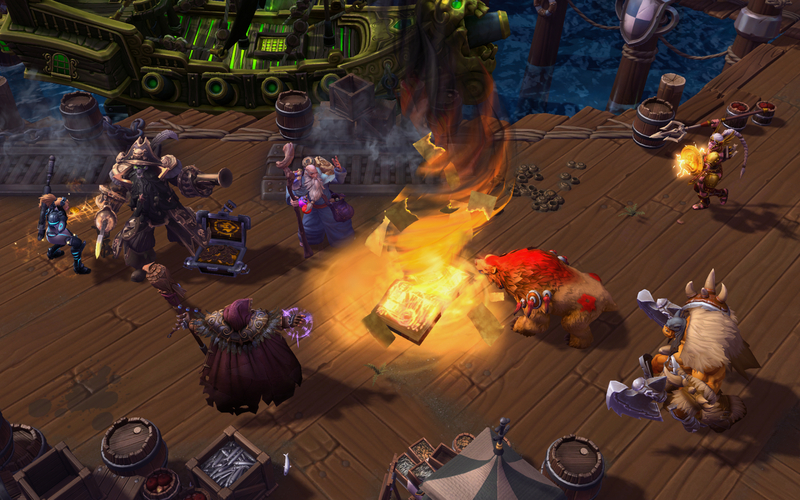 The day Deckard Cain fell brought a great deal of sadness into the lives of many Diablo fans. 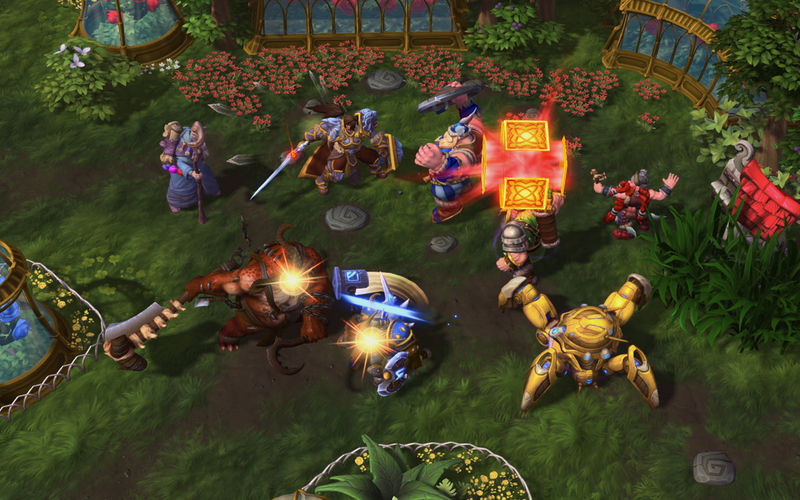 But the days of mourning are over as the last horadrim entered the Nexus to fight the evil one last time. 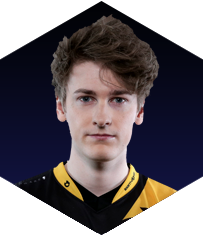 So stay awhile and listen as we review him with Zaelia, the support player for Team Dignitas, one of the most successful Heroes teams in history. Deckard is a melee support who excels at providing sustained healing and zone control. He is easy to play but hard to master as you will need some strategic thinking to get the most out of his kit. "All of his tools work well together. It has definite weaknesses, but is also very strong in some aspects too, making him a great overall hero", Zaelia says and also mentions what he dislikes about the newest hero. "He is a little awkward in the early game as he has very very low damage output. It feels really bad to slap people with a giant staff for 70 damage, basically making him just a root and healbot early on." Blizzard gave him a pretty clear role in the game with his trait and the rest of his kit. However that does not mean there is only one way to play him. "Your position in the game is definitely set. You're running around hugging your teammates all game but his talent tree is incredible when it comes to options and build paths. It offers huge room for creativity especially with the different gems you can choose from. You need to play around and tailor your talents for each game specifically as it'll make a huge difference." Healing Potion is a low cooldown healing ability that will remain on the ground if not used, allowing Deckard to prestack up to five of potions at any given time. According to Zaelia, it is the prestack mechanic where Deckard's strenght lies. "Your potions are fairly cheap mana-wise, but the real power comes from setting up the potions beforehand. Having potions on the ground in bushes, at objectives, on rotation paths, anywhere around the fight you're about to have, is a must. It'll be your only way of "saving" people from potential ganks and bursts," he says. One of the things you should look out for is trying to drop a potion or two for your solo laner, if you get the chance. However many players make the mistake rotating all the time. "Setting up 2-3 potions in a bush for your solo lane can potentially make him get the kill in the 1v1 or survive a gank. So if there is time, there is potentially a lot of value, but don't try to rotate at all costs," Zaelia says. "You generally won't have time to help out your solo lane, as Deckard is quite slow at basically everything in regards to rotations. Rather keep your eyes on protecting your hyper-carry and make sure they can pressure at all times. Your only strength in the early game is the strong, low CD heal, so you have make sure to take advantage of that." Most of his playmaking potential comes from the slow + root combo which can help your allies to secure takedowns. Because of the long delay, the Scroll of Sealing is hard to land unless comboed with your Horadric Cube's slow or your allies crowd-control to make sure the enemies stay in its range. The Horadric Cube can be further empowered by 3 different gem talents providing additional slow, spawning lesser healing potions or reducing enemy healing taken to offer more utility in the fight. Another way to use the Scroll is to place it beneath you to root the enemies after they engage on your backline or prevent them from chasing. This allows your team to focus them down or retreat safely. Deckard has an incredible talent tree offering him a wide variety of possible builds focusing on many aspects of his kit. At level one Zaelia prefers the Sapphire Gem, which increases the slow from Deckard's Horadric Cube. "The sapphire makes you able to land your combos basically everytime with no help from your teammates or every time its up. The shield on potions at level 4 helps a bit with his lack of burst healing and it is quite insane when you hit level 20," Zaelia says and explains why he, unlike many other professional players, actually prefers the potion shield at level 4 over the Ruby gem. "The Ruby gem was the one that interested me the most when I read about his kit for the first time, but it has been very underwhelming in my actual games so far. You will only rarely see a ton of value out of it. On the other hand, in 30 seconds you can spit out 15 potions. That's 15 shields from the other level 4 talent. It's very hard to compete with that." After picking Kanai's Cube at 7, you can save the W to either enable the combo or to reduce the damage of enemy heroes. Lorenado offers great potential value on maps with smaller choke points like Cursed Hollow or Dragon Shire, while Stay Awhile and Listen can be great on bigger open maps. However Zaelia does not like his heroics. Not because they are weak, but rather because of their inconsistency. "Both Deckard's heroics can be very hit or miss and it is hard to get consistent value out of them. The feeling I have so far with Deckard is that he will live or die by the value of his utility in the fights. That is why I originaly preferred the Lorenado as you could have those hit or miss opportunities more often with the lower CD," he says. "I really liked that you could get very cheeky with your Cube + Scroll combo. Spawning your tornado and pulling the enemies further into your team, creating a long CC chain on a very low cooldown. However after more testing I would definitely almost always go with the Stay Awhile and Listen as it can be quite impactful and even win games, just like the Mosh Pit." The only talent that he advises to pick every single game is his level 13 talent Ancient Blessings. 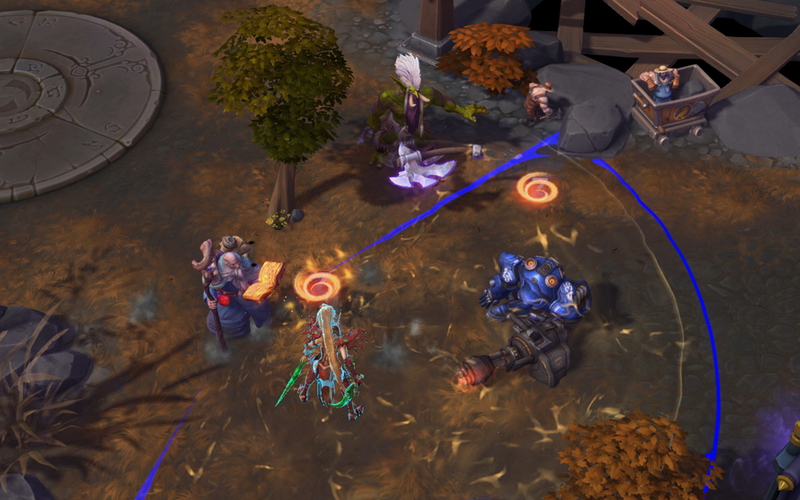 The potential this talent offers on immobile grouped up enemies is immense and it is a huge power spike for Deckard. "That is the only thing, other than the level 20 talent, I would never change. It shares the same 30 second CD as your Sapphire so open the fight with your Sapphire Gem, land the root and get massive value from your level 13 talent, because your opponents can't run," he says. "I have found a ton of success fighting hard for 10 seconds with the Ancient Blessings and then retreating slightly, just to re-engage in 20 seconds for round two and absolutely decimate the fight in your favor." Given his talent variety, there are many possible builds to choose from. "The thing with Deckard is that you'll have to change so many talents based on not only your team's composition, but also the opponents and map." For example, if Zaelia expects a lot of brawling over and objective, he prefers to switch over to Field Study, Rejuvenation Potion and Cube Mastery. This allows him to have more sustained healing as well as zoning and potential lockdown with the E cooldown reduction. He also mentions the only situation where he can imagine picking up the Ruby Gem. "You can pick the Ruby in a heavy melee team vs a heavy melee team game where you will have an easier time landing your roots without the cube. It will also allow you to heal your frontline from a safe distance." Because of his kit, he seems he could be great in setting up big "wombo combo" compositions, but Zaelia prefers Deckard in a different team comp. "Deckard does have a combo, but he has no real damage to follow it up with, so I wouldn't bank on the big wombo-combo drafts. Rather pick him in more drawn-out fighting compositions where he will shine. Your typical hyper-carry heroes like Cassia,Valla,Hanzo or Greymane will work great with Deckard. The combined strength will offset his lack of waveclear and merc camp potential by just pressuring their lanes or the objectives very hard," Zaelia says and also adds a warning. "I would be very careful with picking Deckard into heavy burst comps like Li-Ming, Greymane and Varian or heavy dive such as Genji, Tracer or Maiev with a Tyrael or Diablo." His Q stacking mechanic makes him good at fighting around static objectives with one exception. 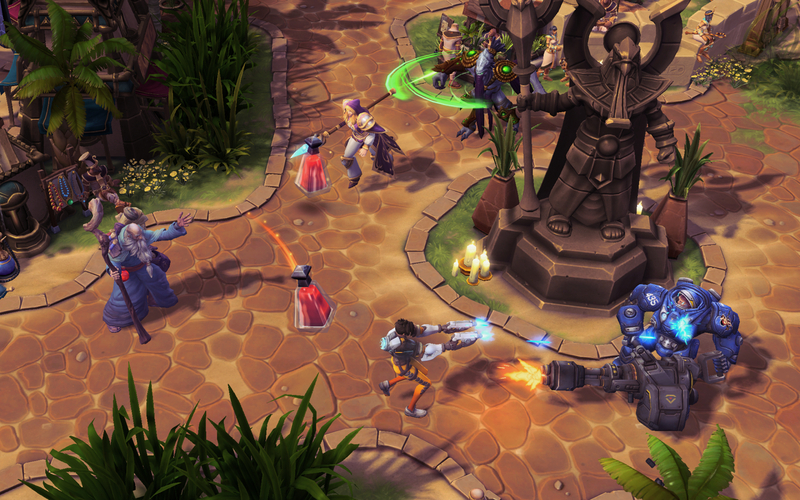 "Sky temple is a big nono for Deckard, but basically any other map where resource placement is massively important like Braxis, Volskaya, Infernal Shrines or Towers of Doom can be a great map for him. Sometimes you can just outright win your Cursed Hollows games by hitting great heroics in those tight corridors too." A character's viability does not only depend on his own strenght but also on the the viability of other heroes, that he can be paired up with or face them down on the battlefield. "It's all going to come down to what other heroes are strong as he is all about empowering. So if we are looking at Cassia being strong or Valla making her return into the meta, perhaps Deckard will be upthere in the priority too, empowering those hyper-carries," Zaelia shares his enthusiasm. "Right now you have Malf and Stukov who are just leagues above all others, just cause they have a little bit more of everything in comparison with the rest of the supports. 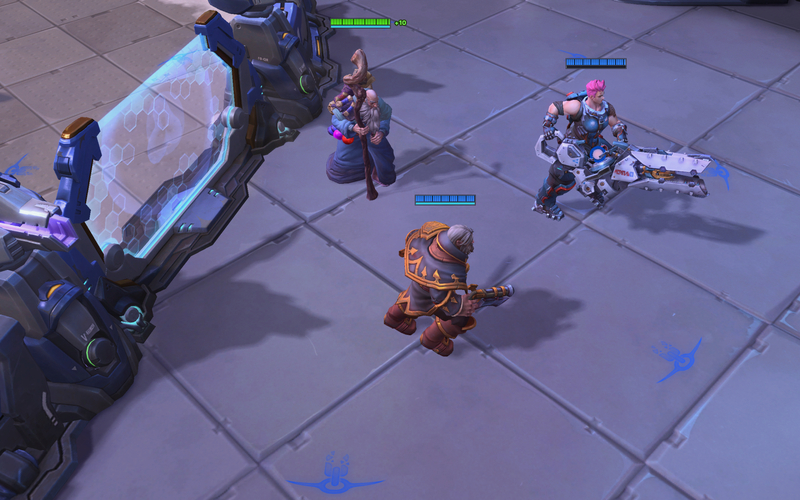 But if either Malf or Stukov is banned, who knows, he could become the go-to third option." Deckard seems to be a solid hero with an interesting kit, clear strenghts and weaknesses, but what is Zaelia's final verdict on the hero? "I really enjoy the way he plays, I like his trait, being strong around allies, BUUuuuUUt - it seems to come with perhaps even greater weaknesses. He will easily be punished by either an opposing team playing a great macro game, or heavy wombo-combo as he has no real "save" for his teammates and no cleanse. That said though, he seems to be very strong when picked in the right circumstances. We will have to see how hard it is to find such circumstances though, but I have faith that Deckard will find his way into the meta, or atleast have a good map or two." matjee je autorem 61 článků. Více článků tohoto autora najdete na tomto odkazu. Pro více informací navštivte profil tohoto autora.